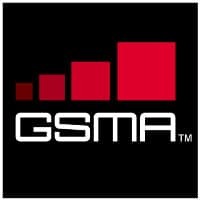 The GSMA has issued a statement outlining a commitment by leading global mobile network operators — many of whom have not previously been involved in NFC — to launch commercial services in 2012. “The operator community is focused on driving the standardised deployment of mobile NFC, using the SIM as the secure element to provide authentication, security and portability,” says the announcement. MOBILE OPERATORS: Seizing the initiative or grabbing land? “Many of the world’s leading operators, including America Movil, Axiata Group Berhad, Bharti, China Unicom, Deutsche Telekom, KT Corporation, MTS, Orange, Qtel Group, Softbank Mobile, Telecom Italia, Telefonica, Telekom Austria Group, Telenor and Vodafone, have voiced their commitment to implementing Near Field Communications (NFC) technology, and intend to launch commercial NFC services in select markets by 2012,” according to a statement issued by mobile network operator’s association the GSMA today. “The market potential for NFC is significant — according to Frost & Sullivan, the total payment value for NFC globally will reach more than euro 110bn in 2015 — and momentum behind the technology is growing rapidly,” says the statement. The statement then continues with what is, in many ways, the most interesting part of the announcement for those tracking NFC on a regular basis: “To address this opportunity and to provide valuable new services to mobile users worldwide, the operator community is focused on driving the standardised deployment of mobile NFC, using the SIM as the secure element to provide authentication, security and portability,” it explains. Striving for interoperability within the operator community to ensure the standardised deployment of mobile NFC by using the SIM as the secure element to provide authentication, security and portability is an excellent approach. The key to uptake is consumer confidence in the security of the offering, especially as consumers will be using the device for micropayments, where there’s no protection on purchases made under £15, as no chip ‘n’ pin is required to authenticate the transaction. But standardising on a SIM is only one step towards ensuring the security of a mobile NFC. Mobile payments service providers, especially banks, can’t afford to take an insular and vertical approach with their NFC security solution. It needs to be spatial and underpinned with a multi-dimensional architecture that is versatile and entails minimum human intervention. The approach needs to be three-fold – from the network, to the application, to the device. Firstly, the devices being used to exchange the information need to be secure and have biometric authentication built into them – be it SIM or otherwise. Secondly, the applications running on the device need to have sufficient levels of authentication and authorisation. Finally, the channel for the transmission of data needs to be secure.